The time has finally come to put the motorcycle under the covers, bring out the hot chocolate mugs and fantasize about the new modifications your going to do over the winter. Don’t let a surprise replacement battery be one of them. 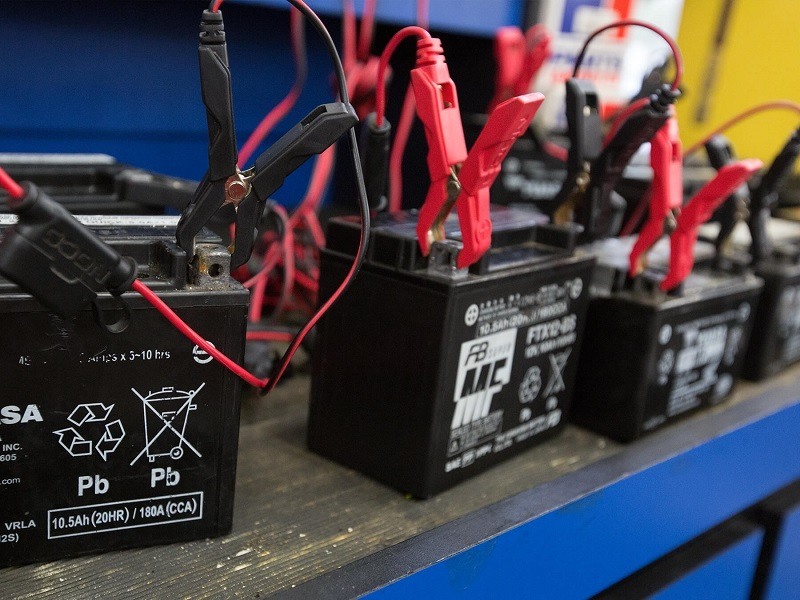 Often motorcycle batteries suffer reduced lifespans, neglected during storage. Improper charging & parasitic draw both have an impact on your battery’s life. But it doesn’t have to be that way; how long your battery lasts, is up to you. Electronic motorcycle accessories, even the most basic ones (ECUs, clocks, key sensors) all draw a small current even when the ignition switched off. Often referred to as Parasitic draw. This can and will drain your battery voltage in as quickly as a few days. Prevent these draws from killing your battery, disconnect the battery. Even if there is no load on, batteries self-discharge. When batteries are left discharged, they quickly become sulfated and may permanently lose the ability to be charged. The best practice is to keep your battery on a maintainer at all times. If a motorcycle is stored for several weeks or longer, keep it on a “smart” multi-stage maintenance charger. 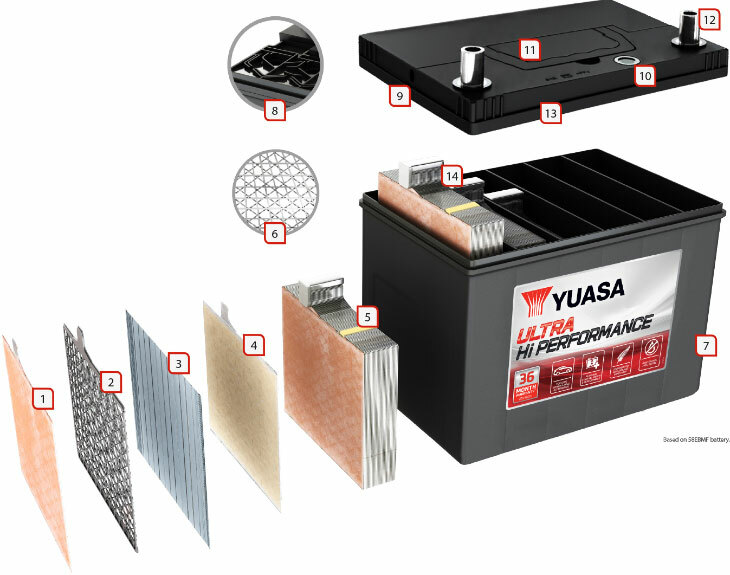 During extended storage, remove the battery and place it indoors, where it can be connected to a maintenance charger and the electrolyte level monitored. If that’s not possible, or if it’s maintenance free, the battery can be left in the bike and on a battery maintenance charger. (A fully charged battery will not freeze until the temperature dips to -68 degrees Celsius, but when discharged, they can freeze at just a few degrees below the freezing point of water.) Often, we don’t expect to leave the bike as long as we do, so make it a habit to connect it when parking at home. Many chargers come with external quick-connect plugs that only take seconds to use. Regular and trickle chargers are OK for recharging discharged batteries to put them back in service, but they don’t have the circuitry needed to maintain a battery’s charge properly during storage. When trickle chargers are left on for long periods they overcharge and damage batteries. Lithium might be an upgrade worth considering if your looking for a replacement battery or simply looking to shed some weight. Holds its charge, compared to other batteries Lithium alternatives lose only about 1% of it’s total Voltage over the course of a year. Batteries contain sulfuric acid so always follow the safety warnings. Always wear eye protection, rubber gloves, and old clothing when working near them, and keep baking soda and water handy to neutralize any spilled acid. Batteries vent hydrogen and oxygen that can explode if sparks or smoking occur nearby. Shut the ignition switch off before disconnecting battery terminals, and detach the ground side first so tools can’t spark if they touch metal. Always connect the negative jumper cable for the dead battery last, attaching it to a clean metal portion of the frame, rather than to the negative battery terminal, so no sparks occur near the battery. Only plug in a battery charger after it’s connected. Be sure to clean and inspect terminals regularly. Electrolyte levels of non-maintenance-free batteries need to be checked monthly, especially in hot weather or when frequently used. If electrolyte levels drop below the top of the internal plates, the battery may be damaged. Use only distilled water to refill, which prevents mineral buildup for proper battery maintenance.